M&C Saatchi Sport & Entertainment has launched a new eSport division, which will be led by the agency's head of digital, Haran Ramachandran. In conjunction with the launch of the division, M&C Saatchi Sport & Entertainment has signed a partnership with the inaugural eGames, which will take place in Rio between 14 - 16 August. The agency will provide strategic counsel and sponsorship advice for the event. M&C Saatchi Sport & Entertainment's foray into the eSports market comes as the sector for huge growth. According to Newzoo, which specialises in gathering market intelligence on the gaming industry, the eSports economy is expected to generate $463m (£321m) during 2016, representing a year-on-year increase of 43 per cent. This year, audience figures are tipped to comprise of 131 million enthusiasts and a 125 million casual viewers who will tune in for big international events. 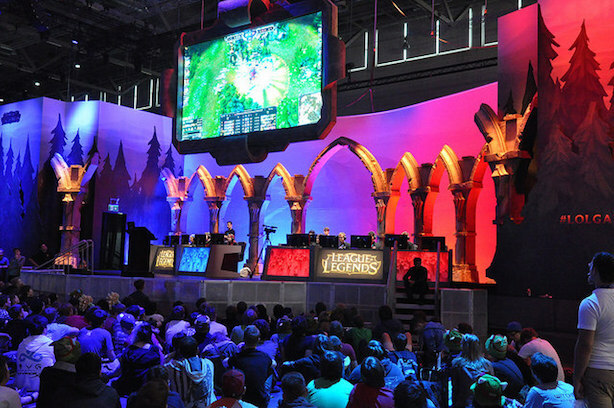 By 2019, eSports is predicted to generate in excess of $1 billion in worldwide revenue. While the sector shows plenty of potential, Ramachandran noted that brands in Europe have so far been relunctant to get involved. "We want to change that by working with brands to create compelling eSports campaigns in the same way we do for traditional sports," he said. The launch of the eSport division is likely to further boost M&C Saatchi Sport & Entertainment's growing technology credentials. Currently, ranked in 41st place in PRWeek's Top 150 UK Consultancies Report, the technology team was one of the standout performers generating over £1m in revenue, up 78 per cent year-on-year. In addition to London, the agency offices based in New York, Berlin and Sydney.